The aim of this study was to examine the use of pancreaticoduodenectomy for malignancy in patients who have undergone liver transplantation for primary sclerosing cholangitis (PSC). Patients who underwent simultaneous or sequential pancreaticoduodenectomy after liver transplantation were identified from a prospective transplant database. Preoperative, perioperative, and follow-up data were collected by review of patients’ medical records. Four patients with PSC underwent simultaneous (1) or sequential (3) pancreaticoduodenectomy for the treatment of distal cholangiocarcinoma (2) or pancreatic adenocarcinoma (2). Postoperative complications occurred in two patients (1 pneumonia and 1 wound infection). Tumour resection margins were negative in all cases. Two patients with node-negative tumours were disease-free after 5 years and 23 months, and two patients with node-positive tumours died of recurrence after 5 and 10 months. 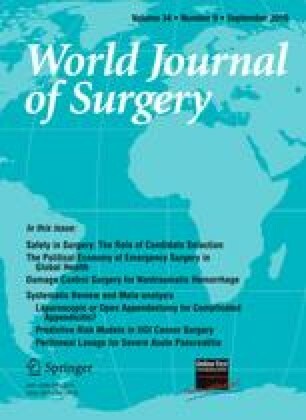 Pancreaticoduodenectomy after liver transplantation can be performed with low morbidity in specialist centres with expertise in both liver transplantation and major pancreatic surgery. Patients with resectable disease should be treated aggressively, although long-term results will be dictated by the histological stage of the tumour, particularly lymph node status.